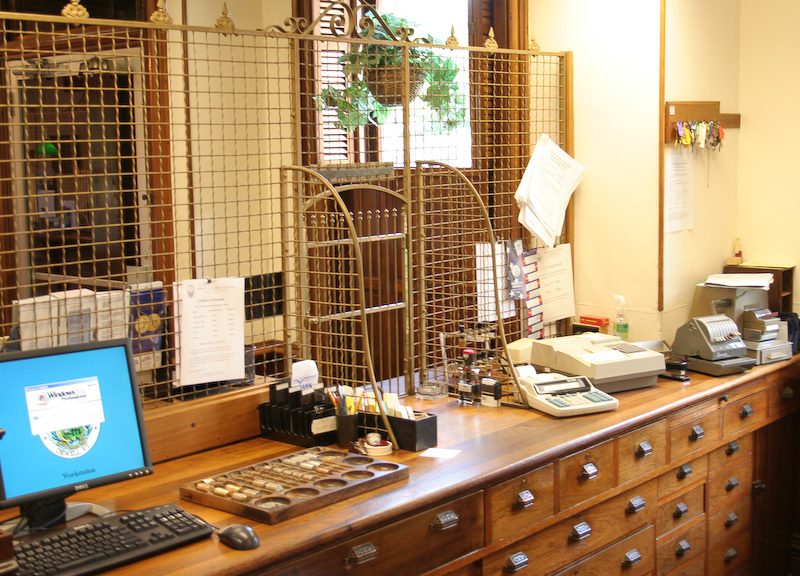 The decorations and furnishings in the bank are careful attempts to maintain the character of the 19th century facility while allowing the flexibility of a 20th century workplace. 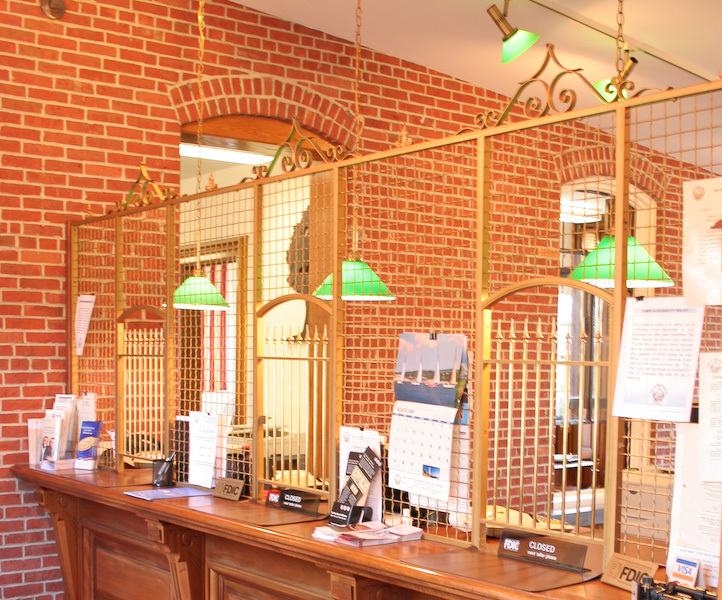 The oil lamps in the original bank area were found during a renovation project buried under coal. The pendulum clock determines the official closing time and is from the collection of the Young family. Standup desks with ledger racks are original pieces, as are three roll-top desks. The largest of these, made of walnut, is 6 feet wide and fully 4 feet deep with scroll work on each end. The hand painted vault door was installed when the bank went through its renovation project in the 1880s. It, and the safe within, were made by the Diebold Company and were sent for repair in 1902 after a robbery. Though using dynamite, the thieves were unable to access the cash inside. The telegrapher’s window used by Davis Wells was once built into the corner of the original lobby (you can see the marks in the ceiling) It is now built into the vestibule of the West entrance. 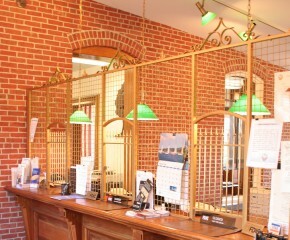 The woodwork in the original bank is made of chestnut and other woods. In the 1989 addition, the woodwork is red oak. The fireplaces in the building (there are 5) are made of slate treated with acid to look like marble. Over the fireplace in the older bank’s single office hangs a picture of John Hammond, one of the bank’s past presidents. 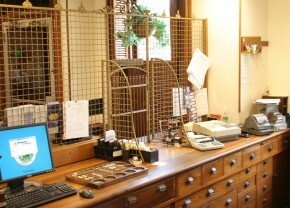 The picture over the Cashier’s desk in the corner is H.C. Holly, a former Cashier.